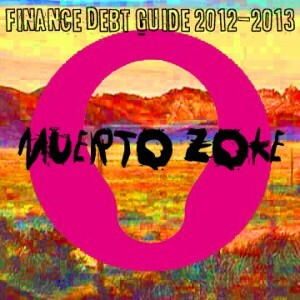 Muerto Zoke’s Finance Debt Guide 2012-2013 Available Now! Muerto Zoke has beamed through subspace frequencies from the alien planet of Oakland right into the midst of Immigrant Breast Nest. We’re not sure if the signal got scrambled but we like what we hear. While Muerto Zoke is well known for underground speedcore and breakcore styles, “Finance Debt Guide 2012-2013” pushes into what can only be called everythingcore, blending up crushing gabber kicks with– well, everything. This record is like a speedcore remix of flipping through every radio and TV channel all at once; there’s absolutely no telling what sounds might come through next. 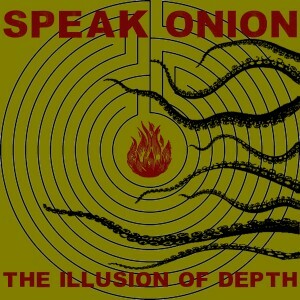 Speak Onion- The Illusion of Depth E.P. Available Now! Just in time for tonight’s big show, Speak Onion drops his finest and latest crop of crushing drum’n’noise. Download and get it into your earholes, and then come out tonight in Brooklyn to see it live! The excellent Solipsistic NATION podcast features Immigrant Breast Nest this week. This includes a fresh mix of I.B.N. tracks as well as an interview with Dan “Speak Onion” Abatemarco and David B. Applegate. Want to know the story behind the Immigrant Breast Nest name? Want to know the origins of the AMSCRAY release? Want to hear a new and unreleased Speak Onion track? You’ll find all that plus great music on this week’s profile of Immigrant Breast Nest on Solipsistic NATION. 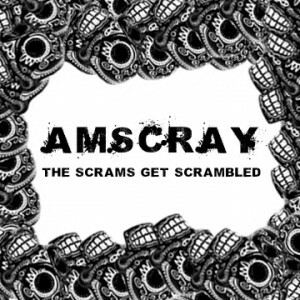 AMSCRAY Remixes of The Scrams’ Garage Rock Available Now! Immigrant Breast Nest brings you a brand new collection of remixes, this time taking the wild garage rock of The Scrams and pushing it way out into I.B.N.-style aural chaos. Our best electronics geniuses have been hard at work in the lab mutating these tracks, and the results are ready for you. 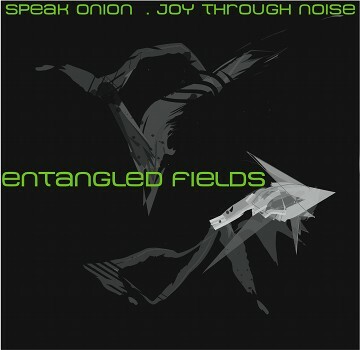 Speak Onion & Joy Through Noise- Entangled Fields Available Now! 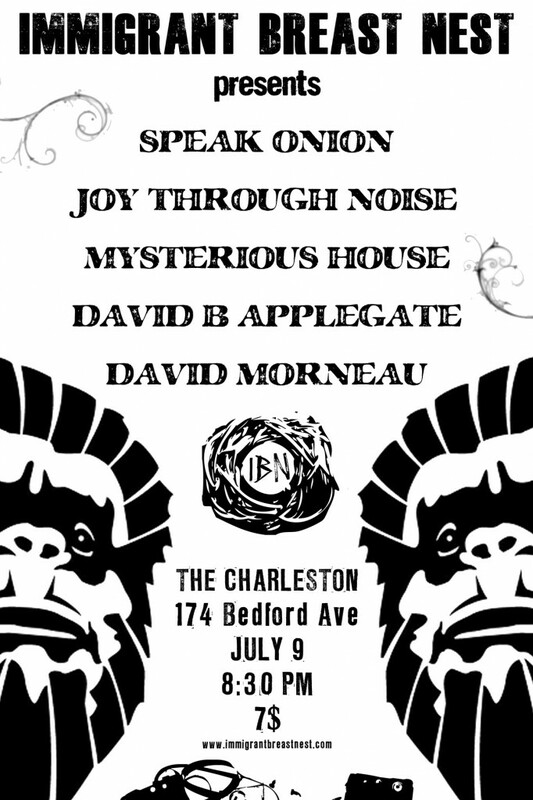 The new split record from Speak Onion and Joy Through Noise, Entangled Fields, is is up now in the releases section! There is a limited pressing of CDRs with Joy Through Noise’s amazing artwork, and mp3s to download, of course. Furious drum’n’noise scrapes up against the heaviest industrial rhythms on this brand new full-length album. We’re bringing you another night of off-kilter electronics like no one else can. On July 9th we unleash 4 new Immigrant Breast Nest records with live sets from all 5 of the artists who made them. It’s a celebration! 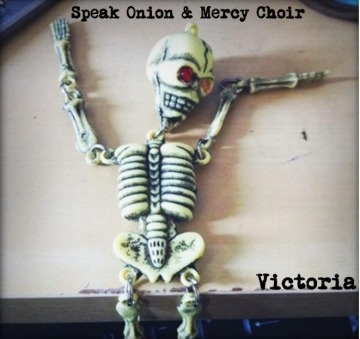 Speak Onion & Mercy Choir- Victoria available now! Speak Onion and Mercy Choir‘s second joint EP, Victoria, is available now in the releases section. These two heroes of underground music return with all the gain, speed, heft, and heart you’d expect. I.B.N. Presents a night of Femme Fatales with Hecate, MerK, Insect Deli, and more! The ladies are taking over on Saturday, January 29 at The Charleston! Barcore is teaming up with I.B.N. 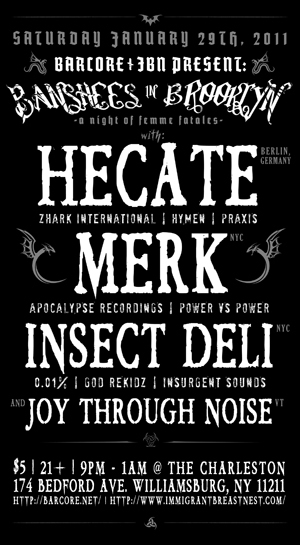 to bring Hecate coming over from Germany to drop her special style of dark metal with dark breakcore, along with a killer bill of locals to support her. Oh, and they all happen to be women. MerK has some of those giant and hard as hell beats for you, Insect Deli is a genius scientist of industrial music, and Joy Through Noise knows how to blast out non-stop rough sounds. We’re lucky to have plenty of women doing hard electronics in NYC, and on 1/29, they are running the show. Get ready for the most destructive ladies’ night anywhere in the city. 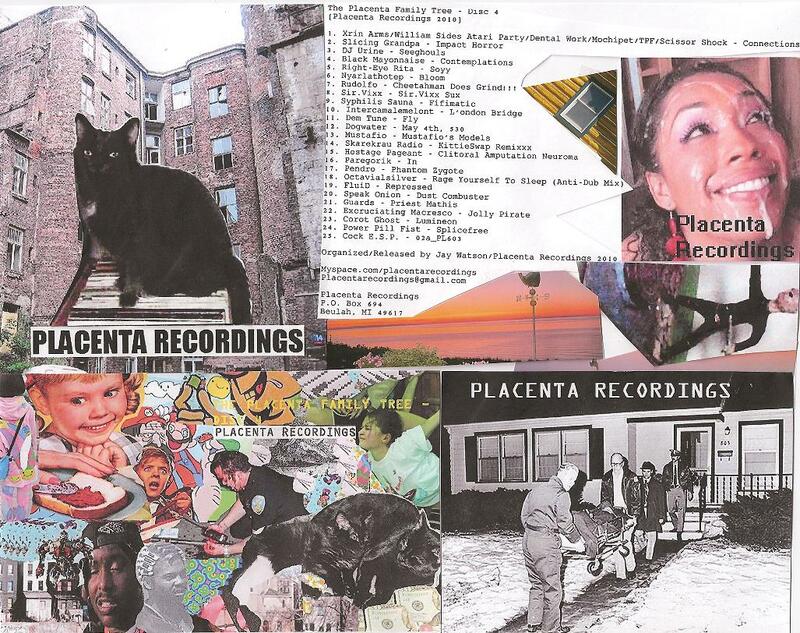 Placenta Family Tree Disc 4 featuring Speak Onion: Go get it! Our midwest comrades at Placenta Recordings have dropped their latest compliation of absolutely action-packed music, and it includes your boy Speak Onion with a brand new and exclusive track, as well as a hot joint featuring long-time friend of I.B.N., Xrin Arms. ‘Placenta Family Tree – Disc 4’ can be had over at http://www.archive.org/details/ThePlacentaFamilyTree-Disc4. 7. Rudolfo – Cheetahman Does Grind!! !